It’s time for Round Top and a birthday celebration! 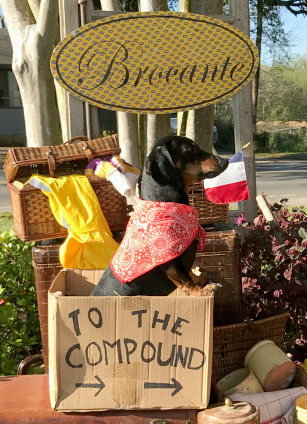 Martha and David Parnell – and their pup Louie – are pleased to be bringing Brocante to the Compound this spring. 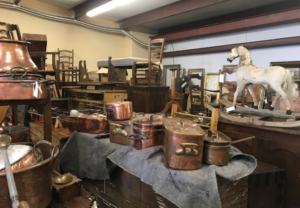 For more information about this popular antiques venue, please click here. 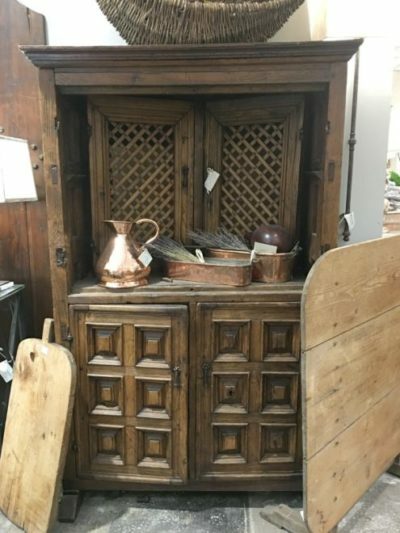 We are waiting for warmer weather, but the current cold snaps are not stopping Brocante! 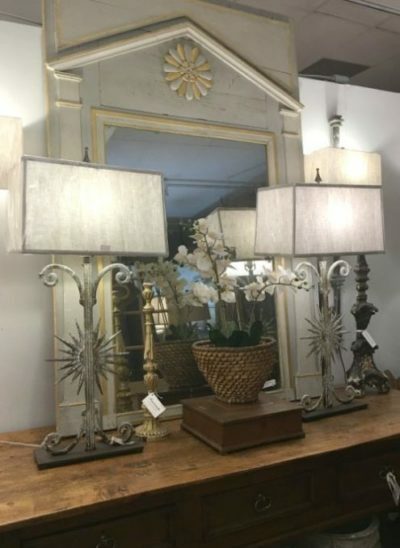 We have great new inventory sure to please. 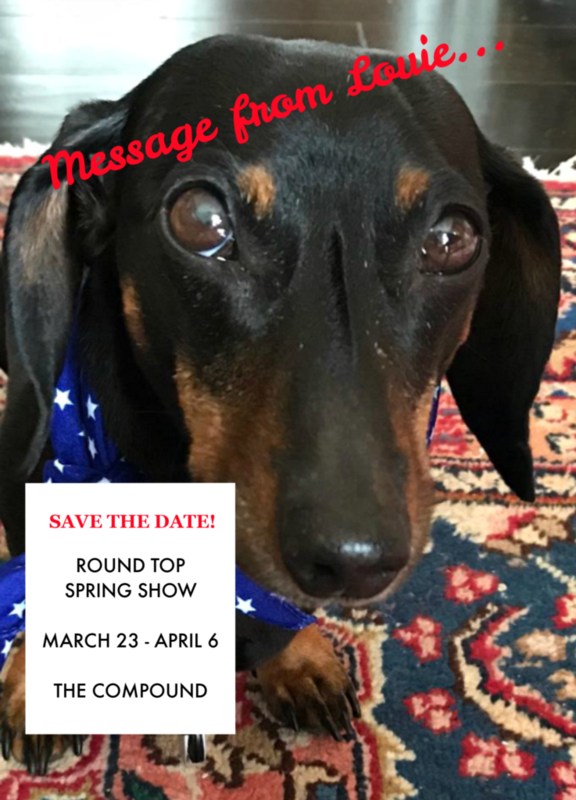 Look for us in Nashville soon… AND be sure to mark your calendar for the spring show in Round Top. Brocante will be there! 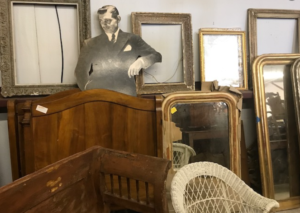 Brocante is having a Warehouse Moving Sale on Friday, August 24 – Sunday, August 26. Each day we will throw open our warehouse doors from 10 – 6 at 3185 Balis Drive, #117, in Baton Rouge. Items will be marked up to 75% OFF original prices! Just look at all this stuff that we have to clear out. 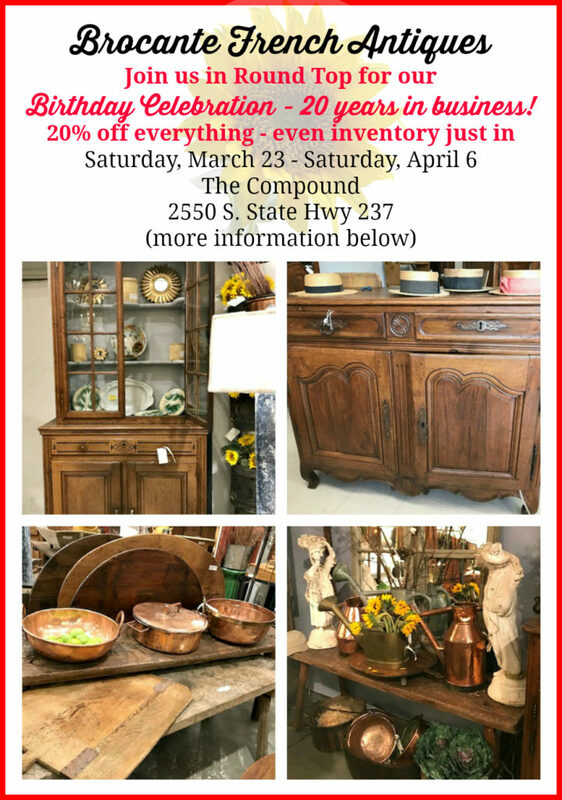 As Clark would say, “Frankly, my dear, you have too much stuff!” You won’t want to miss this sale! 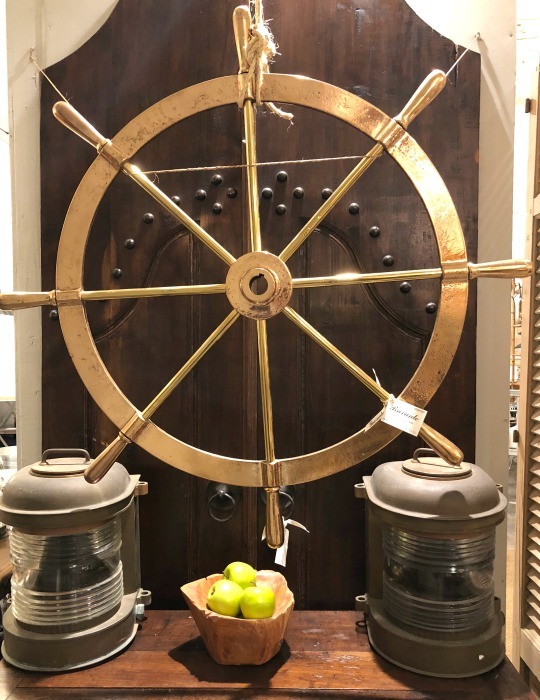 Brocante French Antiques is new to Instagram! We would love to have you follow us as we post new images from our shops and news about upcoming shows. This spring, March 24 – April 7, 2018, find us at The Compound. 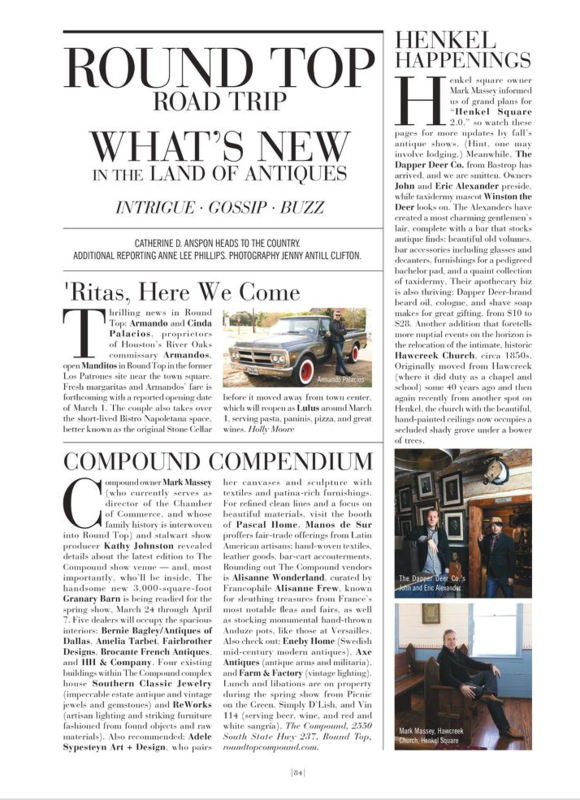 We are excited to be part of this popular venue, which receives well-earned publicity (above inset from Paper City Houston). 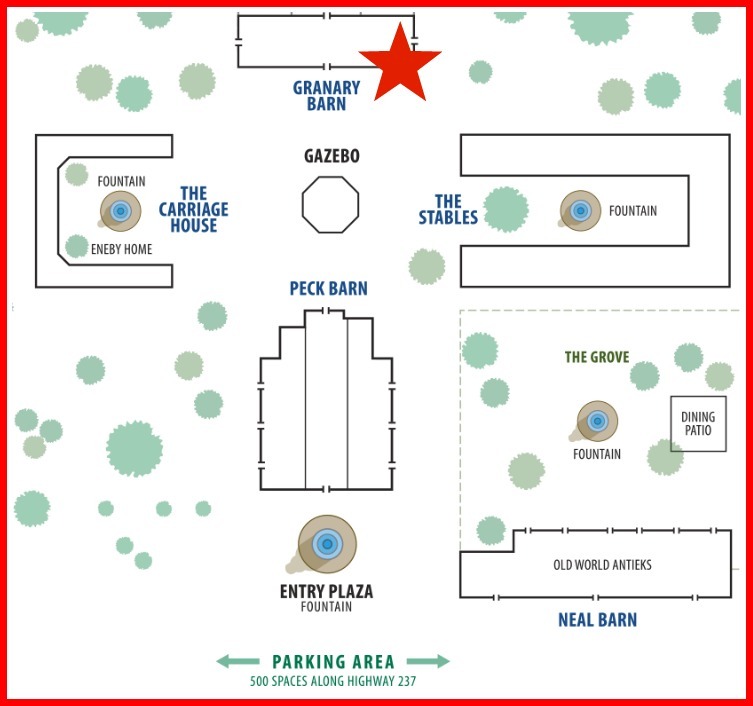 We will be selling in the Granary Barn (see map below) at the back of The Compound. This venue offers ample free parking and food on the premises, so you won’t be disappointed. Come see us March 24 – April 7 at The Compound! 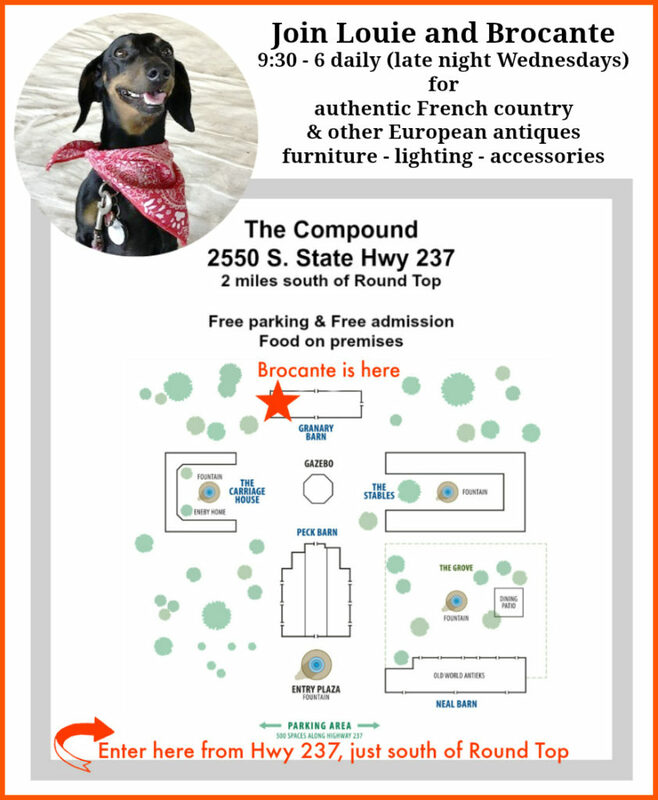 Brocante French Antiques has relocated in Houston! We have just moved – along with all the great designers and dealers at MAI – and you will LOVE our new location. 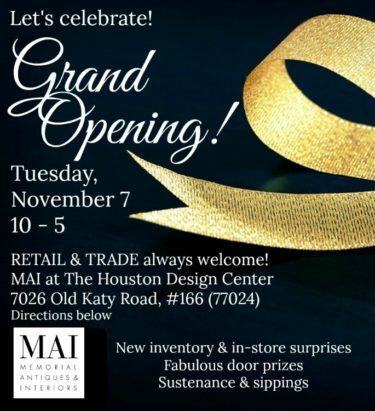 Find us now at MAI within The Houston Design Center, 7026 Old Katy Road, #166, Houston 77024. 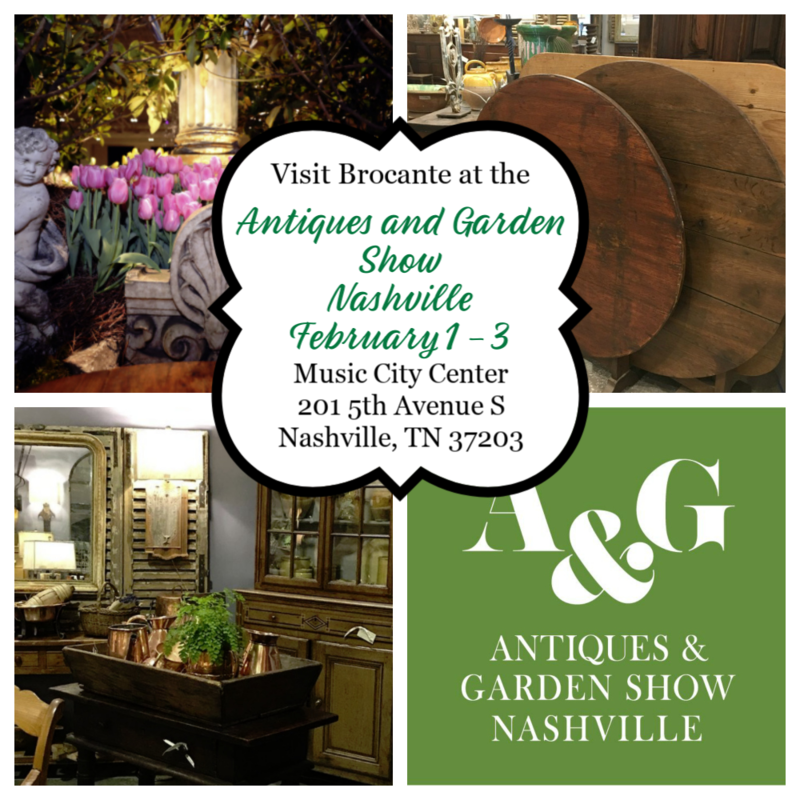 Join Brocante’s Martha and David Parnell at MAI for the Grand Opening Celebration! How about a preview of Brocante’s new space? 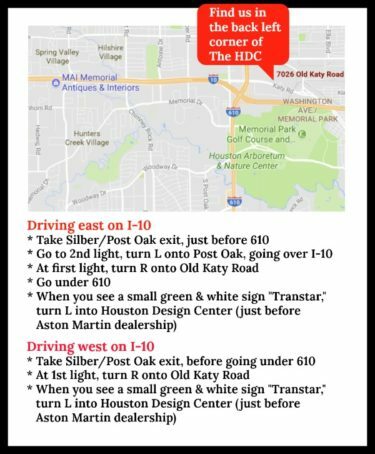 To see more, join us on Tuesday, November 7, in Houston! Come see us soon, in Houston or Louisiana!